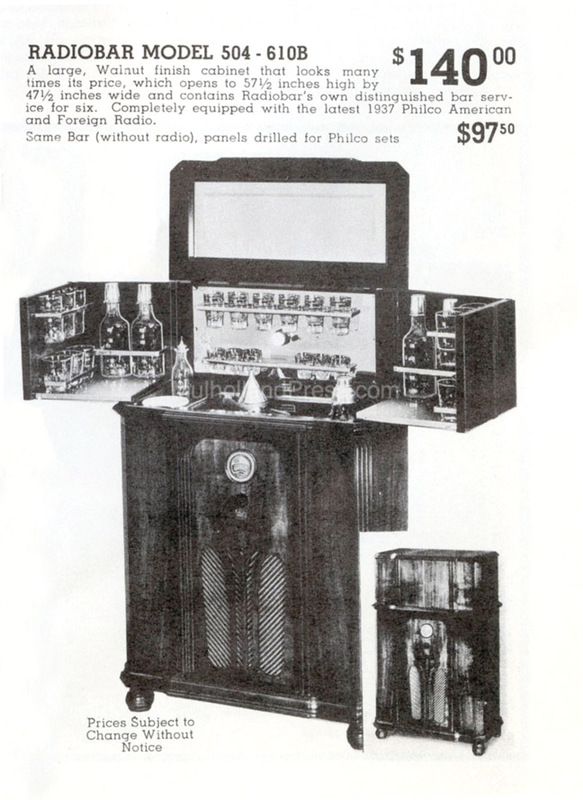 The style 504 Radiobar was offered in 1937. 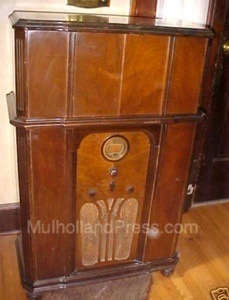 The standard radio was the Philco 37-610 or 37-60 (5 tubes) and cost $140. 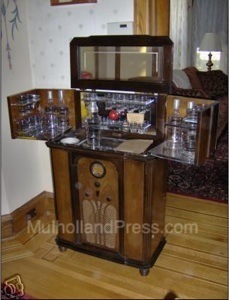 The cabinet alone with bar accessories, drilled to accept a Philco chassis, was $97.50. 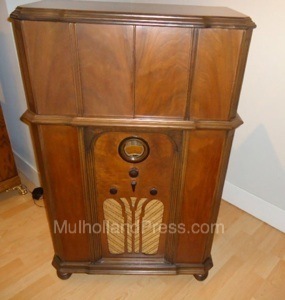 The cabinet featured a Walnut finish and was 44 3/4” high, 29” wide and 14 1/2” deep closed. 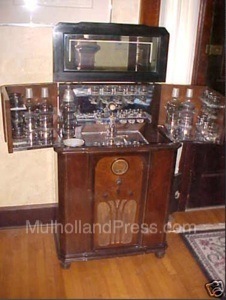 In open position the cabinet was 57 1/2” high and 51 1/4” wide. 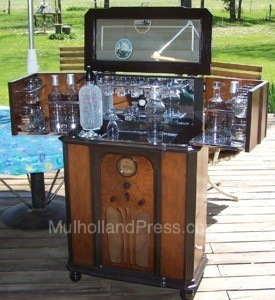 Bar equipment consisted of six each of four sizes of glasses, four decanters, funnel, bitters bottle, shaker, stainless steel knife, bottle opener, corkscrew and bins for ice and refuse.